Escape into history —Explore our rooms & suites today! The crown jewel of the Adirondack Coast, the Essex Inn adorns Main Street in the Essex hamlet, steps away from the ferry landing on the shores of Lake Champlain. Recognized as one of the most charming towns in the Northeastern United States, Essex, with its unspoiled Federal and Greek Revival buildings, appears in its entirety in the National Register of Historic Places. 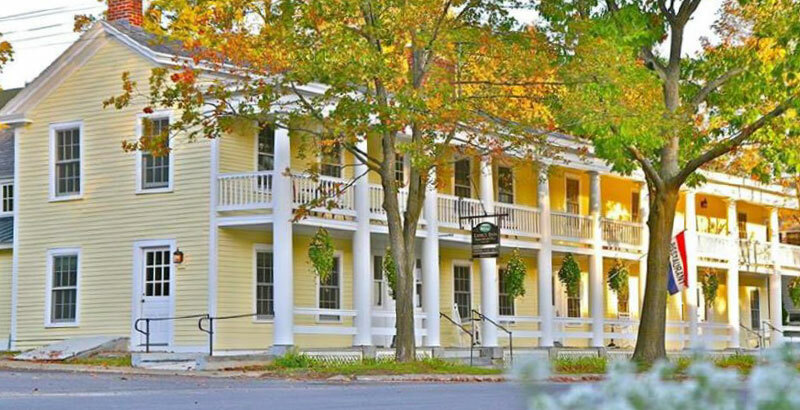 With 200 plus years of history, today’s Essex Inn offers the pinnacle of hospitality. 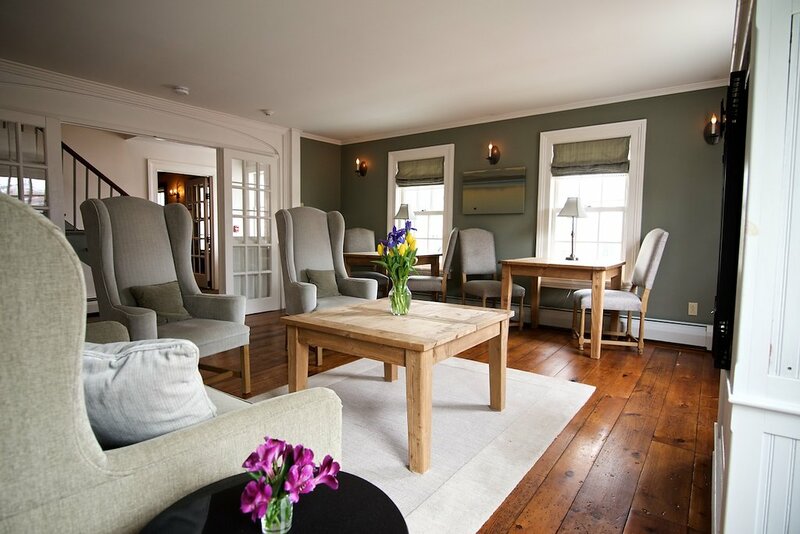 The Inn’s 14 lovingly restored rooms and suites (and additional Annex lodging that overlooks Lake Champlain) provide modern convenience amid rustic charm, while the Inn’s tavern and restaurant offer an exquisite wine selection and hand-crafted cocktails. 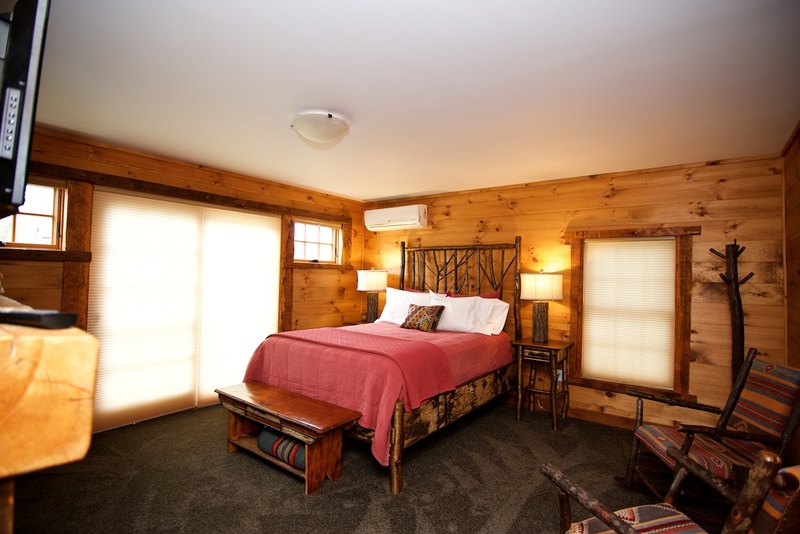 From Main Street, enter the Inn with its wooden walls, hand-hewn exposed beams, and wide-plank floorboards. Throughout the colder months, fires burn in the tavern’s two hearths, while during warmer seasons, the front porch may beckon you outside for a glass of Chablis or a sumptuous meal. Located 20 minutes south of Burlington and a short ferry ride across the lake, Essex is cradled between Vermont and the vibrant village of Lake Placid, on the eastern slope of the Adirondacks High Peaks region, accessible by plane, train, car or even boat. 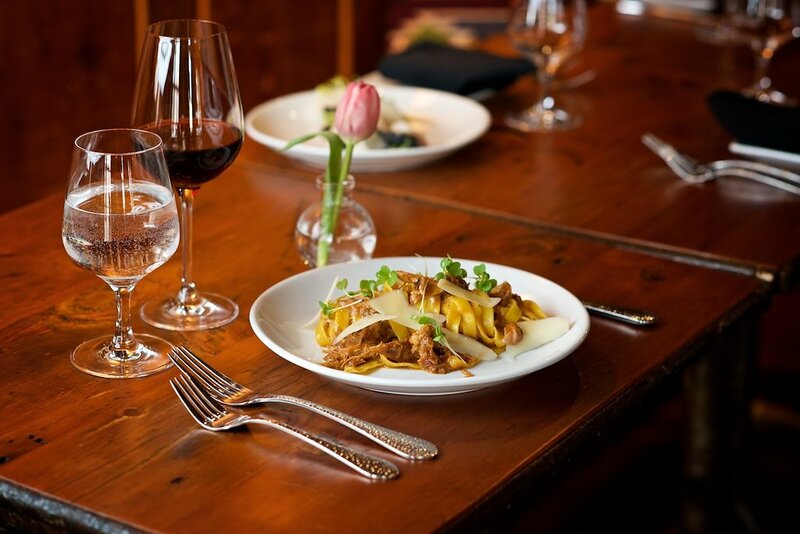 The Inn’s tavern and farm-inspired restaurant is open year round. 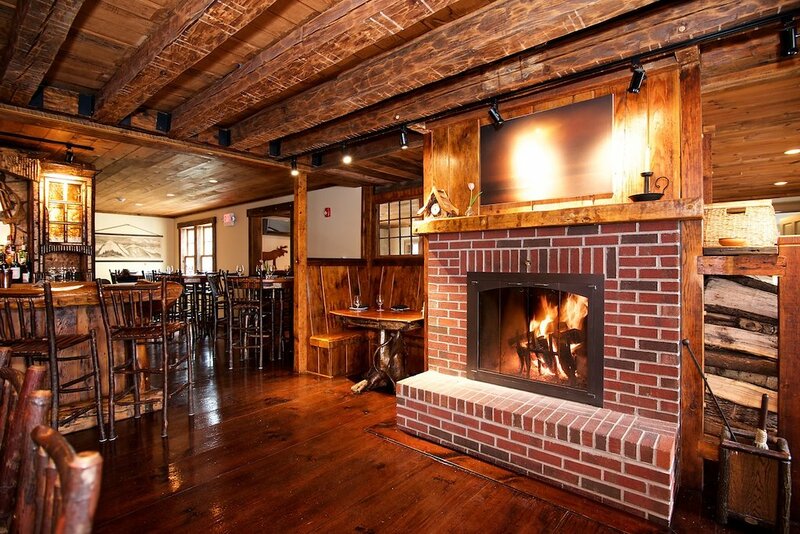 The Essex Inn’s dining spaces include the tavern and dining area, both with fireplaces and rustic splendor handcrafted by talented Adirondack artisans. 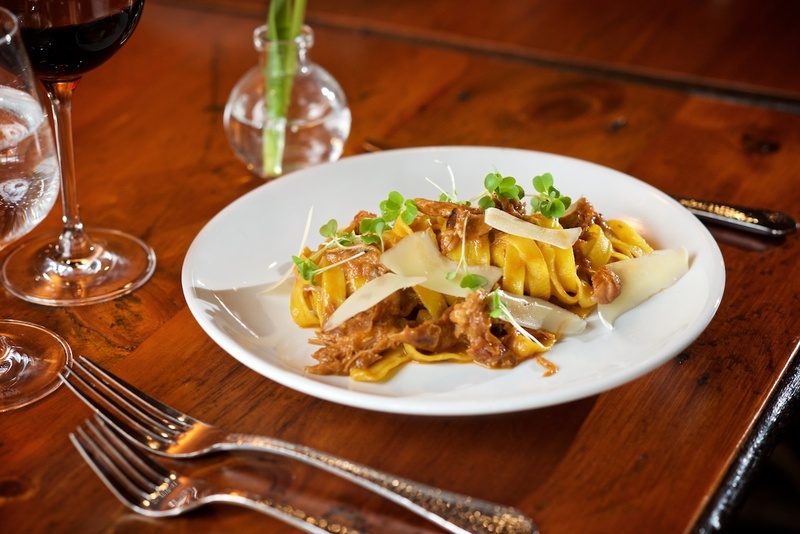 Other dining options include The Stables for a private dining experience for up to 14 people. 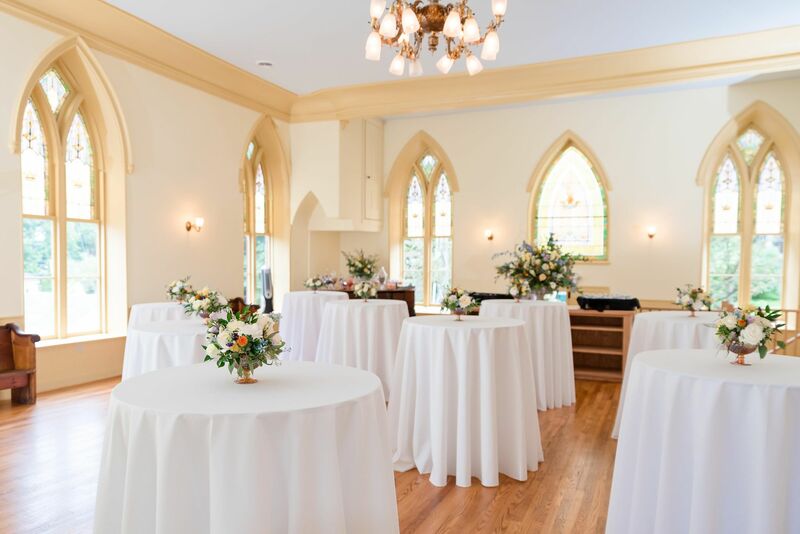 Used as a stable in the nineteenth century, to accommodate horses of inn guests, The Stable has its own wine closet, 19th century Dutch fireplace, and rustic dining table. During the warmer months, the Inn offers outdoor dining on the front porch overlooking charming Main Street. Executive Chef Jordan Sauter is from Philadelphia and has been passionate about cooking his entire life. With 13 years of professional experience, Jordan arrived at the Inn in July 2016.